The year 2012 will be a good year for buyers looking for reliable and ‘value for money’ MPVs as a slew of MPV launches is lined up. 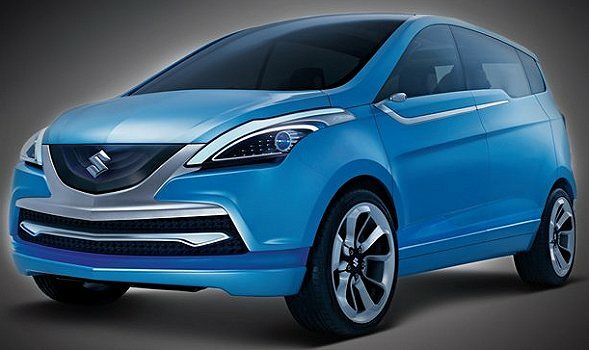 Here is a comprehensive list of MPVs expected to be launched in 2012. Looks: The NV200 has a traditional minivan like design. The front bumper is huge and strong character lines on the sides add a little muscle to the otherwise mundane design. The rear of the NV200 is not particularly attractive to look at but suits its workhorse image. The MPV has a tall stance; it is 4,440mm long, 1,695mm broad and 1,860 mm in height. The NV200 will likely sport eight seats (in three rows) in the 2+3+3 layout. The dashboard is wide and the layout ensures everything falls to hand easily. The gear lever has been placed practically and creates more legroom for the front passenger. The steering wheel is wide and will keep the drivers hand reasonably comfortable. Performance: The NV200 is expected to be powered by a 1.5-litre diesel motor that powers the Micra diesel hatchback. However, the power and torque is expected to be 105 bhp and 239 Nm respectively higher than the Micra diesel (63 bhp and 160 Nm). This will make the NV200 as drivable as the segment leader, the Toyota Innova which has similar power and torque (101 bhp and 200 Nm) specifications. Mileage: Expect the NV200 to have a mileage of around 14 kmpl. It has to be noted that the ARAI-certified rating of the Innova is 13 kmpl. Safety Features: The NV200 will likely come with safety features such as ABS with EBD (Electronic Brake force Distribution) and BA (Brake Assist), ESP (Electronic Stability Program). The NV200 will also have standard dual front airbags and an energy-absorbing bonnet for pedestrian safety. Variants and price details: Based on Nissan’s present cars and variants we expect the NV200 to come in three different trim levels, XE, XL and XV. 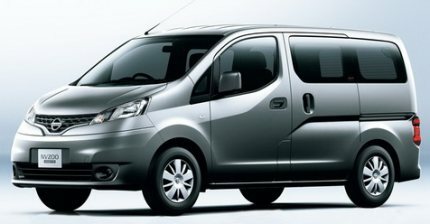 The NV200 is expected to be priced in the range of Rs. 8 lakh – Rs. 13 lakh and will compete with the Toyota Innova and Mahindra Xylo. 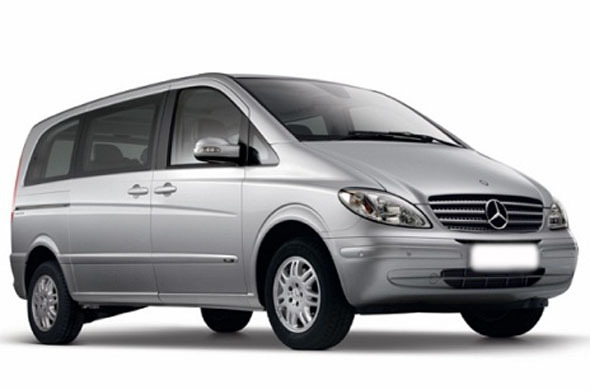 Looks: The Force MPV is speculated to be based on the Mercedes-Benz Viano. But there are no spy shots of Force MPV test mules to confirm this news. Hence, we have to wait for images before we can comment about its appearance. Performance: Though there are no clues as to which engine will power the upcoming passenger van, there are chances that Force motors will use an OMG 611 Daimler. This 2.2-litre, common-rail diesel engine produces a healthy 139 bhp of peak power. Force Motors may also explore using the Tempo Trax Gurkha 4×4’s engine for the passenger van. The Trax Gurkha is powered by a 2.6 litre BSIII motor that produces a modest 75 bhp of maximum power and 195 Nm of maximum torque. Mileage: Expect the Force MPV to have a mileage of around 14 kmpl. Variants and Prices: The Force One could be offered in different seat configurations such as 7-seater and 8-seater. The price of the Force MPV is expected to be in the range of Rs. 9 – 14 lakh. Looks: The new Innova will sport a radiator grille with three horizontal chrome slats similar to the Toyota Camry’s radiator grille. The headlamps and tail lamps have been slightly modified giving a refreshed feel to the MPV. The fog lamps in the new Innova get plastic surrounds while the door mirrors will get integrated turn indicators. There may be minor changes in the interior such as different wood inserts. Performance: The upcoming Innova facelift will likely be powered by the same 2.5-litre, D4D diesel motor making 101 bhp of max power and 204 Nm of max torque and the 2-litre petrol motor making 130 bhp of max power and 181 Nm of max torque. The diesel engine has strong mid range pull and also offers consistent mileage. Mileage: The Innova facelift will likely have the same fuel economy of 13 kmpl like the present model. The Innova is known for its consistent fuel economy. Unless Nissan offers the NV200 with a better mileage, there is no serious threat for the Innova in terms of mileage. 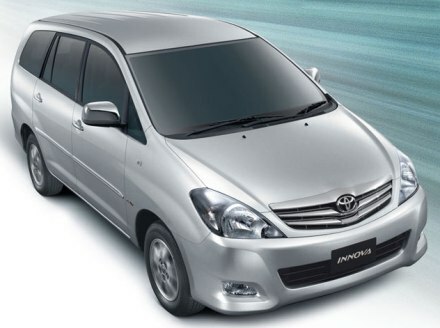 Safety Features: The facelift Innova is expected to come with ABS, SRS Airbags (Driver + Passenger) and engine immobilizer, which are same as the safety features in the present model. Variants and price details: Expect the upcoming Innova facelift to come with same trim levels such as the present model: E, G, GX and VX. The Innova facelift may have a slightly premium price range as against the current model’s price range of Rs. 8.60 -12.60 lakh. Looks: The front of the Maruti Suzuki MPV will have a striking resemblance to its smaller sibling the Ritz small car and a bland rear with wide rear windscreen. The spy photos of what seems to be close to the production vehicle have been seen on the Internet over the past few months. As per the spy photos, the MPV will be spacious and will likely come in 6-seater and 7-seater options with a 2 +2 +2 and a 2+3+2 seating arrangement. The interiors of the Ertiga will resemble that of the new Swift. However, unlike the Swift which has black/grey interiors, the Ertiga will have beige interiors including the dashboard and steering wheel. Performance: The Maruti Suzuki MPV will likely be powered by the same 1.3 litre DDiS diesel engine that powers the diesel version of the SX4 and makes 89 bhp of power. There are speculations that Maruti Suzuki may also launch the Ertiga with a 1.4-litre K-series engine that makes 95 bhp of power. We assume the Ertiga engines to take on daily chores with ease while highway performance may be average. Mileage: The Ertiga may return a mileage of around 15 kmpl for the petrol version and 17 kmpl for the diesel version. Safety Features: The Ertiga is expected to come with dual Airbags, ABS with EBD, BA (Brake Assist), seat belts for all passengers, 3-point seat belt pretensioners for the front row occupants. Variants and price details: The Ertiga is expected come in six variants (similar to the new Swift), Lxi, Vxi and Zxi (petrol variants) and Ldi, Vdi and Zdi (diesel variants). The Ertiga is expected to be priced in the Rs. 6 – 9 lakh. 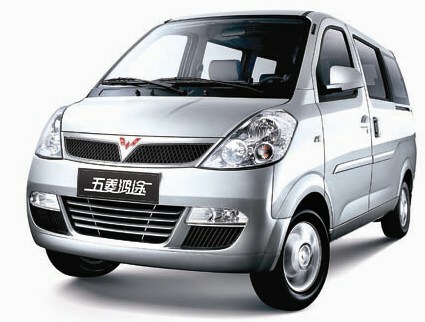 Looks: The India-bound GM Hong Tu (yet to be named) will likely be based on the Wuling Hong Tu sold in Chinese market. The Hong Tu has high mounted headlamps, large front bumper with trapezoidal radiator grille and rectangular fog lamps. Performance: Expect the Hong Tu to be powered by a 1.2 litre, 85 bhp petrol motor, mated to a 5-speed manual transmission. Chevrolet may also consider using the 1.0 litre, 56 bhp diesel motor that powers the Beat, in the diesel version of the Hong Tu. If there is a demand in market, CNG version may also be considered by GM at a later stage. Mileage: Expect the Hong Tu to return a mileage of around 16 kmpl for the petrol version and around 20 kmpl for the diesel version. Comfort features: The Hong Tu may come with basic comfort features like AC and power steering to keep the price in check. Variants and price details: The Hong Tu may be offered in three trim levels, with the top-end model features airbags and ABS. Chevrolet may likely price the Hong Tu in the range of Rs. 4 – 6 lakhs. Looks: The GM Hong Guang was spotted testing in Bangalore in February earlier this year. The spy photos revealed that the car’s dimensions are comparable to the Toyota Innova and Mahindra Xylo. The Hong Guang has a saw tooth grille, leaf-shaped fog lamps and mildly sculpted bonnet. The side profile and the rear have a typical MPV design. When compared to the Xylo and Innova, the Hong Guang is roughly 200mm shorter in length. However, the Chinese MPV is taller and hence, could offer better head room even for third row passengers. The Guang will be an 8-seater in the 2 + 3 + 3 layout. Performance: The upcoming MPV will likely be powered by a 1.4-litre petrol motor that produces 102 bhp of power. The diesel engine could be the Fiat-sourced 1.3-litre mill (that powers the Fiat Linea, Maruti SX4 diesel) that produces 90 bhp. The performance will likely be in par with rivals such as the Mahindra Xylo and the Toyota Innova. Mileage: The MPV can be expected to return 12 kmpl for the petrol version and around 15 kmpl for the diesel version. Safety features: Expect the India-specific Hong Guang to come with dual airbags, ABS with EBD and BA (Brake Assist), seat belts for all passengers. 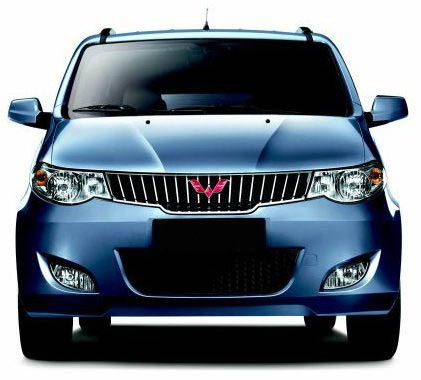 Variants and price details: There are no details regarding the variants of the upcoming GM MPV. With regard to price, expect GM to price it in the Rs. 8 – 13 lakh range. « Question of the day: Which is the best diesel sedan under Rs.10 lakh?